Skimovie guarantees you a unique racing experience. The cameras follow you across the entire race track - from start to finish. Skiline enables you to access your covered vertical meters, number of lift rides and kilometers of slopes in an altitude diagram. Test your limits on a specially secured Skiline Speedcheck track. To prove your sensational performance you will get a personal Speedcheck picture including your top speed value. You want to capture your personal skiing experience with family and friends in fantastic mountainous surroundings? Use your ski pass as a release for the Photopoint. 1...2...3... Cheese! Skimovie guarantees you a unique racing experience. The cameras follow you across the entire race track - from start to finish. You will receive your best time and a professional video of your run, which you will be able to access on www.skiline.cc or in the Skiline app using your ski pass number. Where can I find Skimovie attractions? Skiline enables you to access your covered vertical meters, number of lift rides and kilometers of slopes in an altitude diagram. Get your personal Skiline on www.skiline.cc or in the Skiline app. You can also print your Skiline on one of the Skiline terminals in the ski resort. Where can I find Skiline? 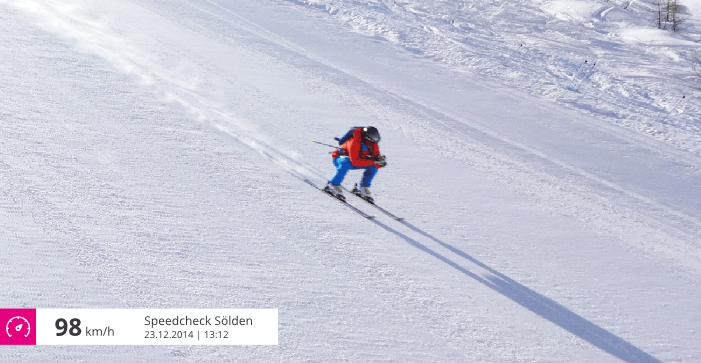 Test your limits on a specially secured Skiline Speedcheck track. To prove your sensational performance you will get a personal Speedcheck picture including your top speed value. Show your friends how fast you were! 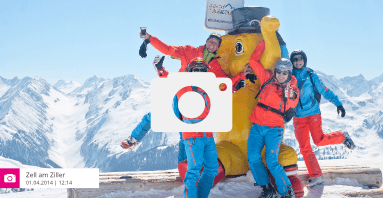 Get your speed photo on www.skiline.cc or in the Skiline app using your ski pass number. Where can I find Speedcheck tracks? You want to capture your personal skiing experience with family and friends in fantastic mountainous surroundings? Use your ski pass as a release for the Photopoint. 1...2...3... Cheese! You can always access your photos on www.skiline.cc, in the Skiline app or on a terminal directly in the ski resort using your ski pass. 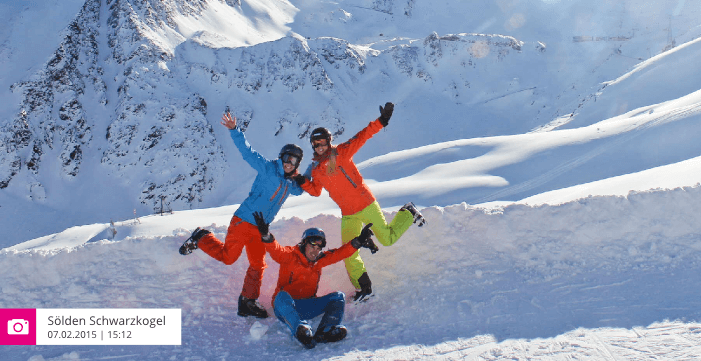 Share your skiing experience with your friends! 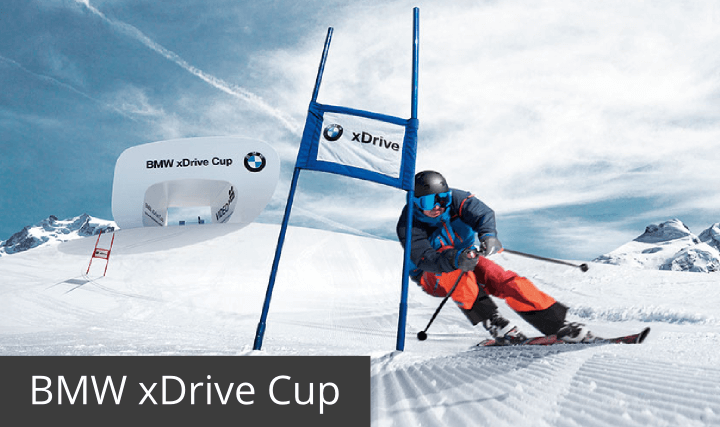 Win a BMW X1 at the BMW xDrive Cup, which is being held in more than 20 ski resorts. 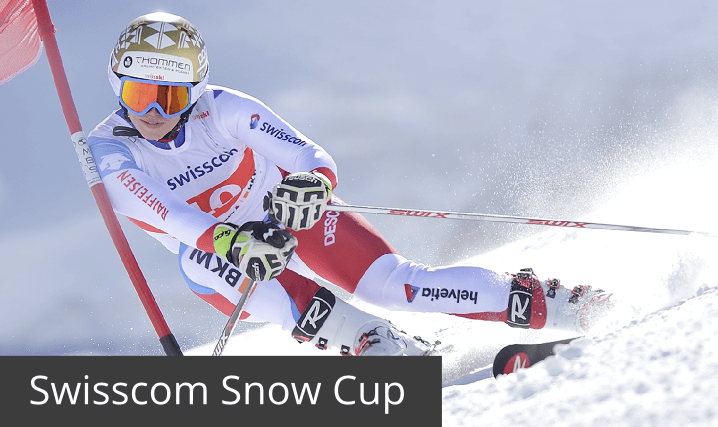 Experience Switzerland’s biggest ski race - the Swisscom Snow Cup. 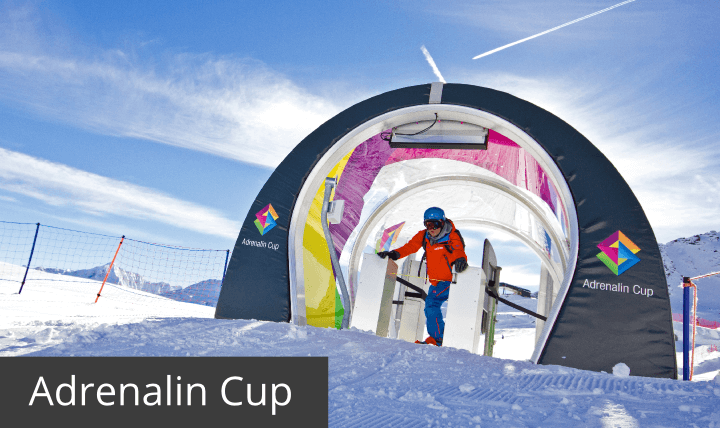 Participate in the 10 disciplines of the Adrenalin Cup in Sölden and Saas-Fee powered by skiline.cc. Look forward to many other exciting competitions. It's the taking part that counts – everyone gets a chance!